I am doing a Beach Body 30 day challenge starting Monday. Hoping to lose a dress size by the end of it. One condition that I have trouble with is eating enough protein, and cutting down on carbs. 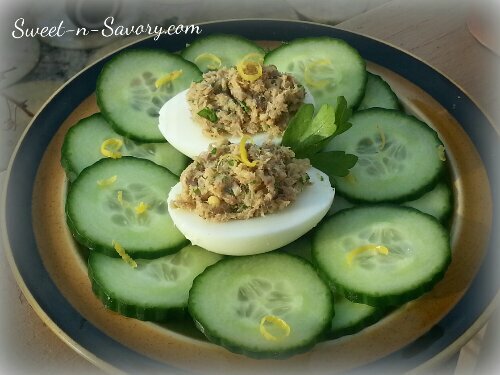 I was playing with my loseit calorie and macro calculator all morning trying to design yummy high protein snacks, and came up with this version of a stuffed egg. Full of umami flavor, satisfying, and packing a hefty serving of of protein. Paired with shredded romaine or cool cucumbers- Deelish! 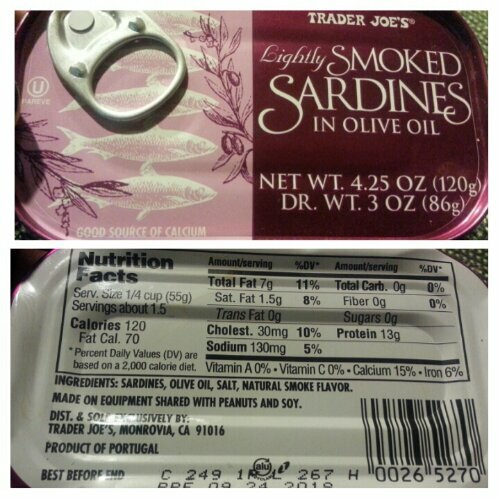 1 3oz can sardines, I used smoked sardines in olive oil. Slice the eggs in half. Add two egg yolks to sardines and mash the sardines and egg yolk with a fork. Distribute between the egg white halves.